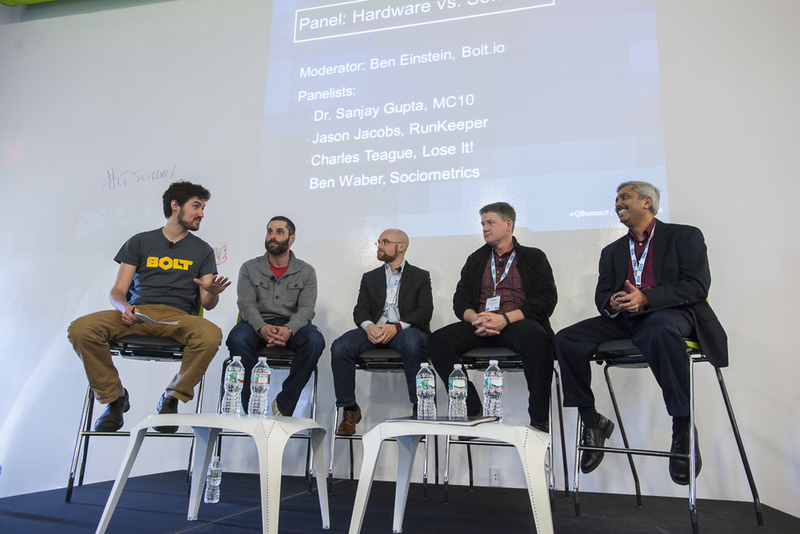 In early April, Terrible Labs and Silicon Valley Bank hosted the first Quantified Summit. The summit was a discussion about the future of the quantified movement as it relates to lifestyle, health and fitness. As a design and development shop that works with so many clients in the health and fitness space, this was a great great opportunity for us to learn more from the experts in the industry. The summit featured panelists from companies such as: LG, Comcast, Samsung, ESPN, Turner, Partners Healthcare, UnderArmour, New Balance, RunKeeper, Withings, Orreco, Sociometrics, MC10, Bolt, Crisply, Lose It and more. Having all of the leading companies and people from the quantified movement in one location made for stellar discussion about the plethora of opportunities that exist. We are excited to see the progress in the space between this year and next. If you’re working on something in the quantified space and would like to get involved in next year’s summit, feel free to reach out!